Blame the late nights, coffee-buzz or even your genes, the bottomline is our unending fight against our eyebags--including those whose misfortune also gave rise to eye luggages or eye bagettes (aka. your eyebags' babies). Frankly, I would've never liked concealers if it weren't for my dark circles. Especially when feeling under the weather or dehydrated, my under-eye circles make me way older than I really am so as much as possible, I keep them cloaked. Although I do find myself adoring my eyebags every now and then (I think my bags are pretty flaws that make my face interesting), I never really found reason to like under-eye circles. I'm sure you don't too. We're all in this together right? 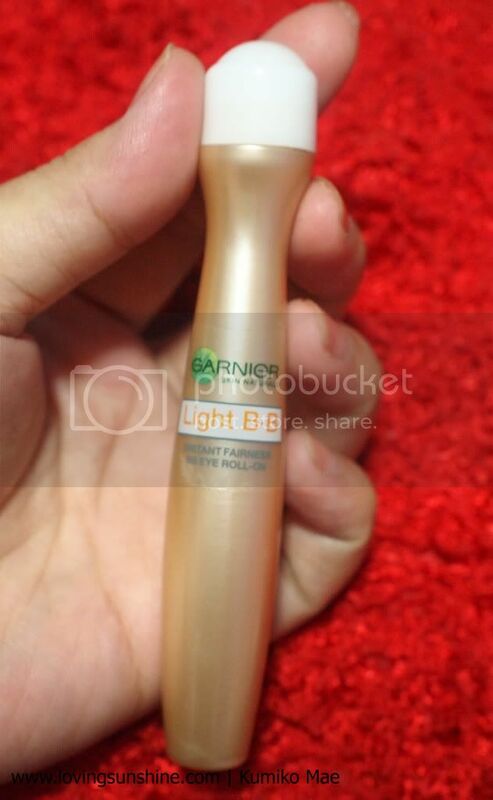 So yours truly tried out the 1st BB Eye Roll-on from Garnier Skin Naturals. 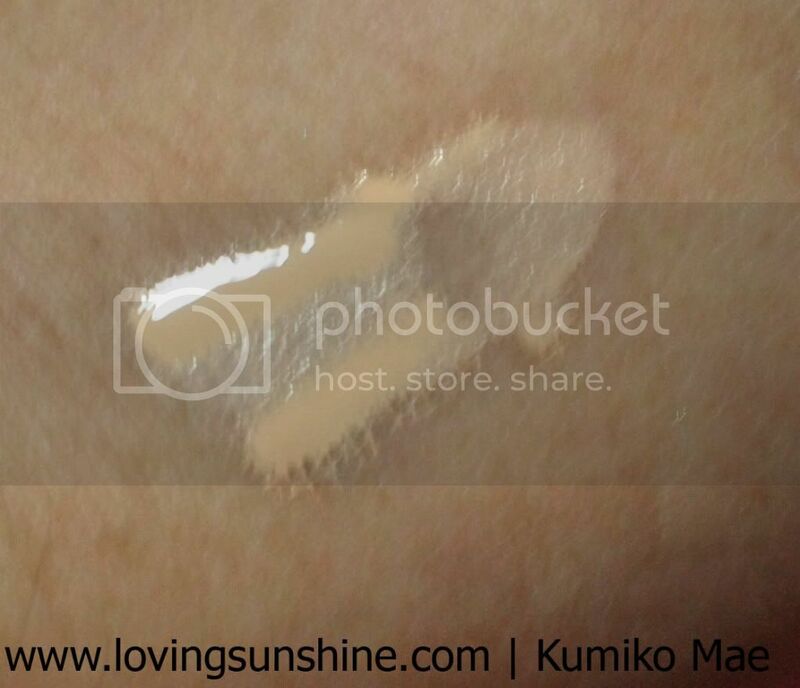 If you're a fan of BB creams then you'd probably like this product just as much. It's a light BB formulation in a travel-friendly to-go eye roll-on that makes it easy to get instant fairness, instant freshness any time any where. It's great for those who don't like to bring a lot in their kikay kits. It's a great facial refresher that instatly revives your radiance and youthful flawless impression. This multi-tasking product leaves your eye contour area hydrated and smoother in just one gesture. I like it a lot because it's a one-step regimen. 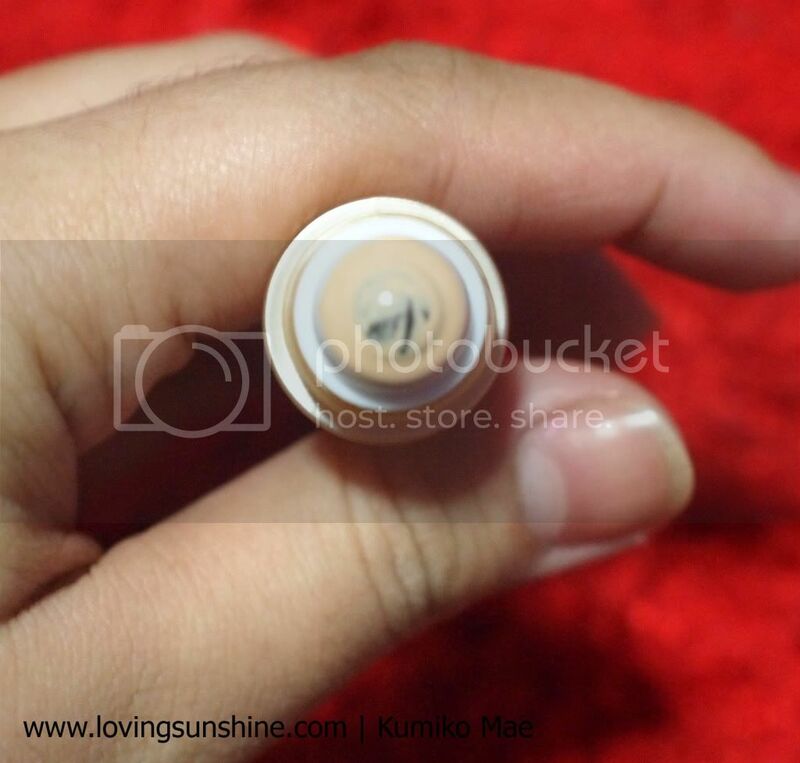 You know concealers are pretty tricky to apply, and even find your skin's perfect match with, so to have one product that would fit all, and well if I may put it, it's a blessing for us beauty lovers. This new BB eye roll-on is enriched with lemon essence and mineral pigments that leaves a long-wearing dark-circle camaouflage in just a minute! For just Php 229, it's a steal. Tiny packaging (like an erase pen) but big on the benefits. One gesture is all it takes to remove nakakatandang eye problems! The packaging is very similar to the Garnier Light eye roll-on, a massaging eye roll-on that I do love using prior to sleep because it leaves a fresh cooling effect on my eye area, as if I were wearing an eye mask without the annoying feeling of having something on your face. You might want to use it side-by-side your BB eye roll-on, like in the evening, so you have less puffiness to conceal using your BB eye roll-on in the day. A cute partner in beauty-crime, great to use with your BB eye roll-on, from Sephora. This brightens your eyes so nicely! :) I need something like that for my panda eyes...lol.